Want to reconnect with Earth, eat healthy, get exercise, learn new skills, and meet great people? Will Forage for Food aims to create a community of folks who are interested in sharing knowledge on living from the land. All skill levels and ages are welcome. We like to offer plenty of opportunities for members to come together and practice our skills. So we regularly have free events that focus on things like searching for wild foods, completing projects that would traditionally be done in large communities (such as processing a large harvest or building a shelter), swapping home made items with other members, or just sitting around a fire working on traditional crafts. We also hold a variety of classes for our community. The topics of these classes are chosen based on member interest and range from edible and medicinal plant walks to mushroom growing to cooking classes to tanning and primitive tool making. Fees for these classes will vary. Some of our outdoor events are held in areas that are not accessible to those with limited mobility. This will be noted in the event description. On rare occasions you may need minimal equipment (such as waders or a hunting vest). We never want to exclude anyone from classes due to cost, so if you cannot afford the fee please contact us to discuss barter or work study. As a child Rachel often camped, hunted, trapped, and harvested and preserved foods with her family. Through years of practice, she has learned to gather, process, produce, and preserve a large proportion of the foods, medicines, and household products that they need. Friends fondly refer to her as The Mushroom Lady for her knowledge of wild mushrooms and mushroom cultivation. She is also known for her herbal teas and her culinary skills, receiving recognition for her dishes in several wild foods Cooking Contests. Rachel is a lifelong student of the environment and primitive skills, with a special interest in understanding why nature creates those characteristics that give plants and animals their unique and useful qualities. She has her BS in Environmental Biology and her MS in Ecology. She has worked as field biologist and ecologist throughout the Eastern U.S., and is a lecturer at the University of Michigan- Dearborn. She has been teaching for over 15 years and has spent considerable time working with students in the classroom, in the woods, and on-line. She is a strong believe in student-centered learning and will adapt her teaching methods to accommodate the audience and the situation. 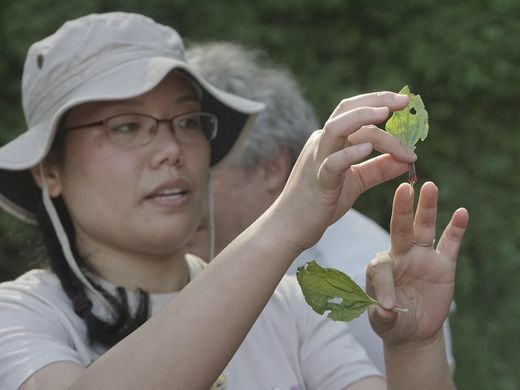 Minjung grew up in Korea, where foraging and living close to the land is considered normal. When she immigrated to Michigan, she was both surprised and disappointed to find that most people here never go out to the woods to harvest their dinner. She began to miss this connection with nature and other people, and the exercise and relaxation that comes with it. Not to mention the fresh, nutritious foods. But instead of becoming discouraged, she began to invite people to come harvest with her and learn. Minjung studied nursing in Korea and works as a medical translator. She has a deep understanding of anatomy, physiology, microbiology, and chemistry, which she uses to wildcraft medicines and fermented foods for her family. She is intrigued by methods of cooking and preserving foods without modern conveniences, and enjoys challenging her skills in primitive or rustic settings. 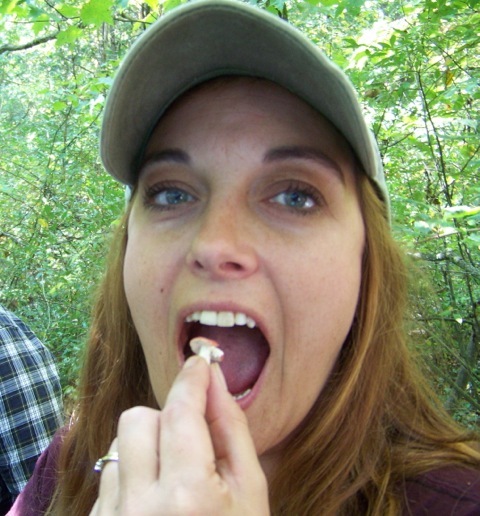 She has adopted Michigan as her home and knows our flora and fauna as well as anyone, yet her unique cultural perspective provides insights that you will not hear from other foraging instructors.